Welcome, my friends, to the Studio! 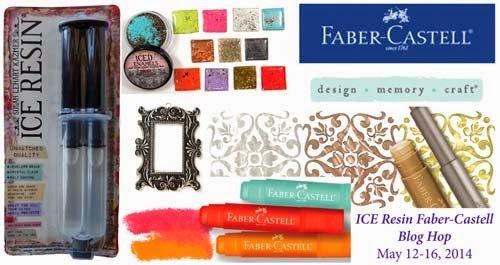 Today I'm honored to be part of a Faber-Castell Design Memory Craft blog hop as we team up with Ice Resin. This was my first time working with Ice Resin and it was sooooo fun! 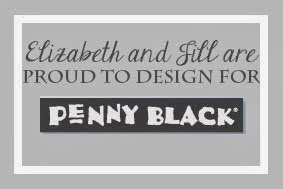 For my mixed media creation, I first stamped (Penny Black 30-215 Garden Blooms) and colored my inner bezel paper using PITT® Artist Pens. Once this was adhered, I added Ice Resin Medium and Relique Tarnished Bronze powder to the outer edges of my bezel. I used my heat gun to melt the powder. Then I added Gesso and Gelatos® (Snow Cone, Lemon, and Butterscotch) to the edges. Finally, I added the resin to the interior of the bezel and allowed it to dry overnight. To create my "plaque" I simply added lots of washi tape and Gelatos® to the wooden, precut board (uber-cheap at my local craft store), blending with my fingers as I went. I also added a touch of Gesso to brighten things up. Finally, I embellished with twine and added my bezel to the"plaque" using dimensional adhesive. ...simply leave a comment to be entered to win. 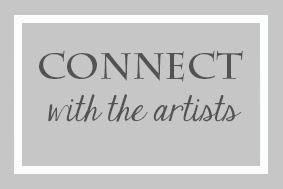 The blog hop projects will end on Friday but you have until midnight Eastern time on Sunday, May 18 to post a comment. Winners will be announced Monday, May 19. Two winners will win a Designing with Gelatos kit OR a prize pack from Ice Resin (a Resin Plunger, a Bezel, Medium and a Relique). 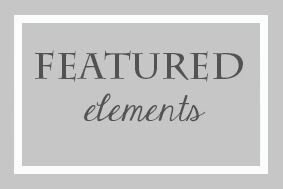 Now click HERE to visit the blog of the talented Kathy Cano Murillo for more inspiration! I love the colors you choose for this project! Absolutely gorgeous project - such beautiful colours. I love the project! I am intrigued by the ICE Resin and I Love Gelatos! WOW - the colours are AMAZING!!! LOVE how you decorated the bezel - looks like an exciting technique!!! wow this is just gorgeous!!! I love how this piece turned out! I like that you used the Gelatos on all parts of the project. I really like how the Ice Resin lets you clearly see the image in the bezel. Really pretty. Very cool! I love what you did! The Ice Resin looks like it would be fun to play with! Thanks for sharing! I agree ice resin is way fun to play with. And playing with the powders just adds to it. Your bezel turned out awesome. thanks as always for sharing. Love the bright colors of the gelatos. They remind of eating yummy Taffy when I was a kid. That bezel is so fun! The whole project is fun!! TFS! Such gorgeous bright colors, love your design, such an effective technique with the ice resin, love it!!! oh my, that is just beautiful. just amazing, i love the color and detail. I have never used resin before. It will be fun to try. Beautiful example...love the colors! Looks like fun stuff! absolutely love the colors! Super cute! I love how you used different colors around the "frame" of the bezel. So colorful and pretty. Lovely! Glad you had fun! Thank you for sharing this project. Looks amazing. I have always wanted to try resins and went as far as getting a wonderful book and CD but have not yet opened it. :( It looks like so much fine and to actually have the opportunity to win such a lovely package, really makes me smile :) Thanks again. Keep Calm and Create Art! AWESOME... love all the vibrant colors!!! Beautiful pendent! Oh my goodness Jill, this is such a stunning piece! I'm SO thrilled to see that you've received some wonderful Ice Resin to create with--I knew it would be something incredibly inspiring and I was right!!! I love my Gelatos but yet to have had the opportunity to work with Ice Resin but I want to sooo bad! And your fabulous creation increases my desire even more! Thanks for sharing your beautiful work today! I love it! What great colors!! I love what you did, thanks for sharing! Ice Resin has been tempting me for some time. Your project will push me over the wall and I will try it for sure. Thanks for sharing! Very cool project, Jill! Love it! Love the colors on the project! I have played with Ice Resin a little and love it already. Adding the bezel to a wood plaque was a fabulous idea. I love the look of the Gelatos on the bezel itself, did you have to seal it with anything? I love Ice Resin, and after seeing your inspiration, I am going to have to try the Gelatos. I adore gelatos and ice resin. If I should be blessed to win these out of the world, fabulous gifts, I know I would feel like I have died and gone to heaven. I am love love loving this creation! LOVE this - such bright happy colors!! Wow, beautiful plaque! Love these colors. And your frame bevel is so pretty. Love the color and the image inside. Great job! :) Thanks for sharing. Love , love , love it all. Very cute! The frame is definitely my favorite part. Really a cool project! So much to learn!! I like what you did with the washi tape, and also that you colored in the paper with markers before adding the resin. Looks very good. I have all of these supplies but didn't think to combine them this way. Cbeers! I love your design! So bright and colorful - a great use of gelatos and resin. Thanks! Jill this is beautiful. I have just started using the Gelatos and intend to try to imitate this - wish me luck!! I like your colorful project! I haven't seen the ice resin before. What a cool product. I would love to play with this. Thanks for the chance to try for free! Beautiful!! Love the color combo and the design is amazing. Never tried Ice resin, I would love to!! Your plaque just fills me with joy. It's so beautiful with all the bright colors. Beautiful project, I really love the colors! Such a sweet piece! Loving all the colours! Sweet...I need to try this! Love all your cards they are so good ! 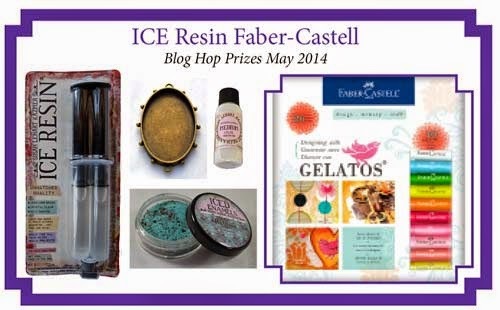 I had never heard of Ice Resin - looks like fun; love the colors you chose and love "gelatos"! I love gelatos and pitt artist pens but I have never heard of ice resin. I'd love to try it out. I love your project! Lovely cheerful colors - love it! So cute! I love learning more about mixed media. Thank you! This is piece is so inspiring, my ice resin has been staring at me waiting for me to decide what to do! Thank you and thank you for the chance to win! What a beautiful project! Love your embellishment, Jill. Your project is beautiful! And thanks for explaining how you did it. 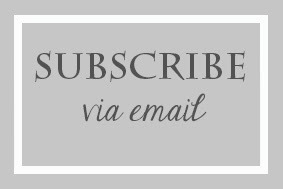 Thanks for your whole inspiring blog! I would love to play with the ice resin and gelatos! What a gorgeous project! I love the colors and how you used the Ice Resin, thanks for sharing. This is gorgeous! Love all the different colors and mediums you used! Your piece is just gorgeous. Love the bezel. Never used ice resin but I would love to try it now after seeing your project!! Stunning project, love the dimension the ice resin gives it too! This is stunning - love the vibrant colors! I've never used the ice resin and look forward to trying it out. I love the colors, so bright & cheery! Wonderful card! Thanks so much for sharing your project with us!! Love your colors, how you did the frame and well the entire project! Love the colors on it. So cheerful and pretty. Love Gelatos and want to try Ice Resin. This is PHENOMENAL! I sorta wish I made it ;) You are amazing Jill! I bought my first Ice resin Kit yesterday and I can't wait for it!!! Loving the Gelatos! Can't wait to "play". This project is so beautiful. I am going to get the ice resin at my favorite store this afternoon. This is super gorgeous! Love faber castell! This is very pretty and the colors are so vibrant. Love the beautiful bright gelatos colors and the ice resin looks fabulous. Ive used resin but never ice resin. Think I defiantely may have to give this a try. Love it. Yowzah! Wonderful card, love the way the ice resin looks. Love the effects you created with the gelatos and gesso. I also like your idea to add the frame to the plaque. I am a newbe to both gelatos and ice resin so I am taking notes. I love your project. Who would have thought to combine Gelatos with Ice Resin. Love the brilliant colors of Gelatos! Love the bright colors of this and the ice resin looks interesting. I think it would be fun to play and create something using it. !